The Crowd HSL Shader for Arnold is an Arnold shader which can be used to add some visual diversity to the rendered crowd. It lets you vary the hue, saturation and lightness of a texture/shader which will be applied on the same mesh on different Entities. To create a Crowd Switch Shader for Arnold, the Arnold plugin (mtoa) must be loaded. This shader can be used to feed a color attribute of any other shader. The output attribute of this shader is called outValue. 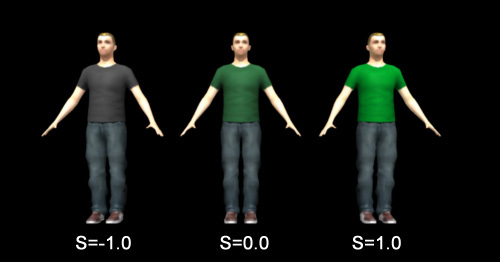 In the following example the Crowd HSL Shader has a texture connected to its In Color attribute. 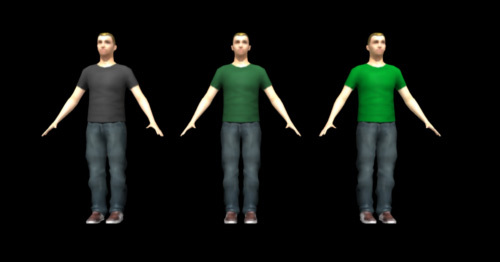 Its Saturation attribute is fed by a aiUserDataFloat shader and its output is connected to the Color attribute of a Blinn Tshirt shader.